Koshimbir is a side dish (salad / Raita) that is very popular in Maharashtra. Koshimbir is always included in the meal in a maharashtrian homes.It is served as a side dish with curries. It is a very healthy as it contains vegetables and very less oil. It is very easy and quick to make. Koshimbir is generally made with some combination of raw vegetables – tomatoes, onions, carrot, cucumbers etc adding fresh peanut powder that adds a zing to taste. Sometimes it even has yogurt in it (called Raita). There are lots of varieties in koshimbir.Here I have made it with just using Cucumber and a tempering . It’s just very tasty and easy to make. I have added curd also. Roasted Peanut powder - 2 tbsp. 1) First in frying pan dry roast the peanuts till the skin becomes loose and comes off easily. It will take about 10 to 15 minutes on medium heat. Keep stirring them often so that they do not stick to the utensil and get burnt. Allow them to cool. Remove the skin of the peanut by moving it in between the finger tips. Get rid of these loose skins by blowing air over them .Grind them in a mixer on whip to make coarse powder. This can be stored in an airtight container for a few days. Use as needed. 2) Wash ,peel and Chop cucumbers finely. 3) Wash and Chop chillies finely. 4) Wash and chop coriander leaves. 1) In a medium sized bowl add finely chopped cucumber . 2) Add salt, sugar, coriander leaves and roasted peanut powder. 3) Add plain curd /yogurt. Mix well. 4) Make the seasoning by heating the oil in a kadhai. Add mustard seeds ,cumin seeds and wait till they splutter. Then add green chillies ,asafoetida and curry leaves. Switch off the flame and keep it to cool off completely. 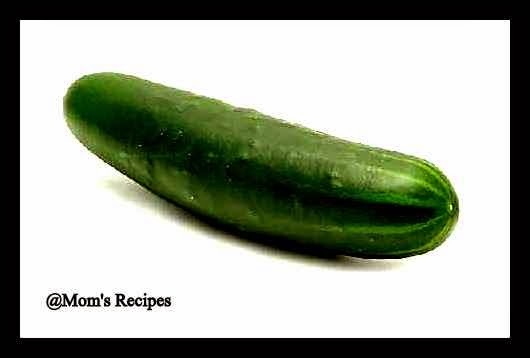 When the tempering is cooled fully add the to finely chopped cucumbers and mix the entire ingredients well together. Delicious Cucumber /Kakadi koshimbir is ready. Serve immediately with curry and roti or rice.